Here at the barbecue centre we get asked a lot about accessories, in truth you can have a lot or a little, it really is up to you and depends on how much you use the BBQ and what you cook on it, but for most who use the barbecue for the weekend hot dogs and burgers there are a few accessories that you just should not go without. The right accessory can turn your barbecue into the ultimate entertaining appliance, making it more of a machine than just cooking sausages and burgers!! Today modern barbecues can cook just like your home oven, and with some accessories do the job even better, for example pizza stones made for the BBQ are superb and give you the crispy base and succulent toppings, home ovens can dry the topping, whereas on the barbecue with the correct accessory you get the best pizzas. Moist chicken, fish or even the Sunday Bacon and eggs can all be cooked to perfection on the BBQ. Here we will give you guidance on the latest accessories, from the necessary to the indulgent! 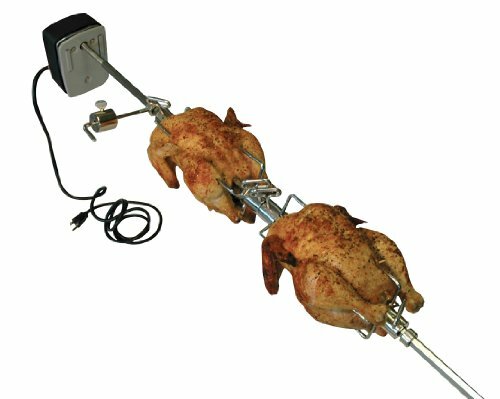 We all know that the tongs, turners and brushes are part of the BBQ, but what about the rib racks, griddle plates and chicken roasters? Everyone that owns a barbecue should have a good quality griddle brush with Stainless Steel bristles, a sturdy grill brush is worth it’s weight in gold when it comes to cleaning the grills, it removes all the old food and in turn prolongs the life of the grills themselves. The second necessity is a good pair of long handles tongs, preferably with a locking option, these are invaluable for placing food on the griddles and turning/serving, as it’s still mainly men that cook on the barbecue, a good set of tongs will save you from loosing your knuckle hair. Depending on how adventurous you are, some food is just too big for standard tongs, so a good quality flipper/turner is another great addition, keep it simple, a large flat turner preferably Stainless will slide under the food and be stable enough for you to flip the food over. Another good investment is a digital thermometer for your meat, this allows you to test the internal temperature of your food to ensure it is not under cooked before serving. The final necessity is the cover, no-one should be without it, it provides protection for your BBQ all year round, keeping the sun off it in the Summer and rain/snow away in the Winter, make sure you keep a regular check on the cover, they will protect the grill for years. Whatever you are in the mood for, you can cook it on the barbecue, gas charcoal or even electric. Today you can buy accessories to help you cook Bacon and eggs like a griddle plate, with a Stainless Wok topper you can cook the ultimate stir fry. Oiling and seasoning your cooking grids are another simple way of enhancing the flavour, oiling the griddles also prolong their life, oil misters are ideal for just that. Smoking and planking is a great way of adding another flavour to meats and fish, today smoker boxes are available for gas barbecues, in truth you can go as far as you want with accessories, the sky is the limit! enjoy.. This entry was posted on Monday, April 2nd, 2012 at 8:01 am	and is filed under Barbecue Tips. You can follow any responses to this entry through the RSS 2.0 feed. You can leave a response, or trackback from your own site.